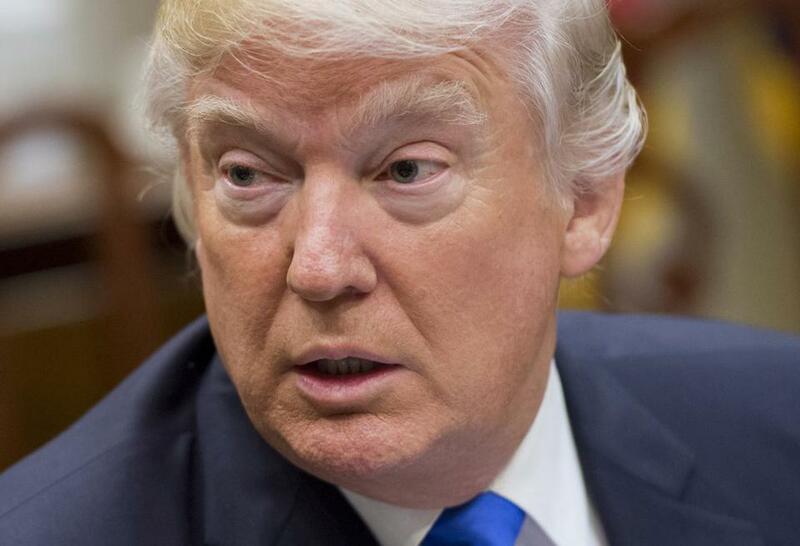 President Trump spoke Tuesday during a meeting with automobile industry leaders at the White House. The terrifying problem with their alternate version of reality is that it isn’t . . . real. Well, in our reality-based culture, numbers do matter, and so does the truth. Trump won the election, for goodness sake, but he’s still sore the entire country hasn’t bowed down before him, and that polls — including FOX News’ — show half the country view him negatively. What upset him this time were photographs and Metro ridership numbers showing his inaugural crowd was smaller than Barack Obama’s, and reports on the women’s march in Washington, which crowd scientists said was three times bigger than Trump’s inaugural, an estimate bolstered again by subway use. Data collected by University of Denver and University of Connecticut researchers indicate some 3.3 million people marched in 500 cities, which would make it the largest collective protest in US history. Trump could have tried to bring the country together by agreeing to listen to critics’ concerns. Instead, in his first meeting with members of Congress, he repeated his false and debunked claim that the popular vote was stolen from him by 3 to 5 million illegal aliens voting. At balls and at the CIA, he inflated his inaugural crowd and claimed the sun shined when it was raining. Literally, he was disputing the weather. It doesn’t get more Orwellian than that. 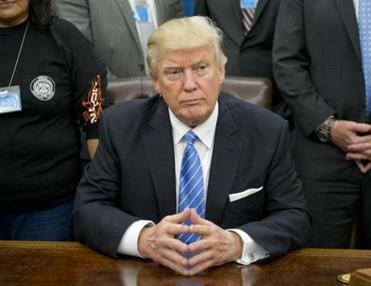 President Trump said he would have won the popular vote if not for the votes of immigrants living in the US illegally. At a memorial for fallen CIA officers, Trump rambled on that he was “like a smart person,” and falsely accused the media of fabricating a fight between him and US intelligence services, denouncing the press as “among the most dishonest people on Earth.” But it was Trump who discredited US spy agencies on Russian hacking, blamed them for false information in Iraq, and compared the disclosure of a dossier with unproved allegations to “Nazi Germany” tactics. Trump seems to need an enemy. But that enemy can’t be the truth. If he is willing to assert falsehoods that are so easily disproved, what happens when facts are more important and lives depend on them. Will we be able to trust economic indicators, health statistics, death tolls and so on? Truth-squadding a president who catapulted into politics on the lie that Obama wasn’t born in America, and wrongly insists his victory was a landslide won’t be easy. One problem is that only 32 percent of Americans believe the press, a historic low, according to Gallup. That’s partly because a fractured media environment means one can consume a diet of partisan blogs, conspiracy theories, and cable diatribes that aren’t fact-based. That wasn’t true in 1976, when everyone sat in front of a nightly newscast and faith in media was at a record high. The press needs to earn back trust by seeking truth in facts. If we can’t trust information from the White House, dig elsewhere, verify, and present it fairly. Correspondents who have covered authoritarian regimes that restrict access and lie to the press — China, Russia, Cuba, Turkey, and others — may be especially well suited to the job. Let’s get to it.